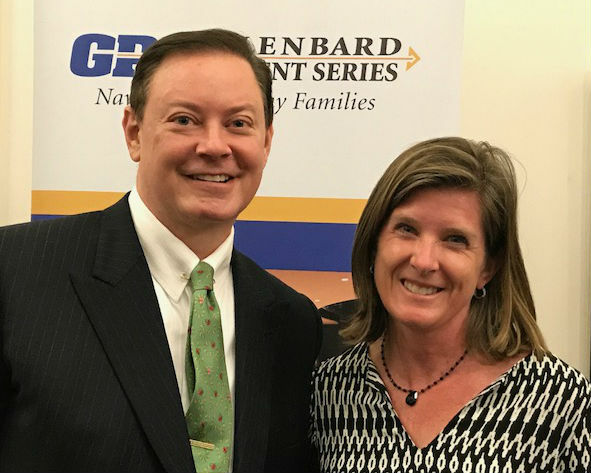 On April 11, 2017, the Glenbard Parent Series hosted author and psychologist Andrew Solomon in a presentation called Far from the Tree: Love No Matter What. 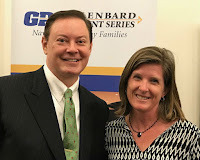 Glenbard West parent Katie Scherer shared the following takeaway: "Andrew Solomon gave a very moving presentation about how various conditions that were once viewed by our society as disabilities are being reframed and reclaimed as identities. Regardless of the nature or extent of our own children's differences, we as parents can make the choice to accept these differences as gifts and love our children because of them, rather than in spite of them. Having differences is human, not lesser." That’s how a literature professor of mine once described Sherwood Anderson’s town of misunderstood characters in his ground-breaking novel, Wine’sburg Ohio. Published in 1919, the novel focused on the lives of townspeople struggling with unconventional personalities or difficult personal challenges which made them feel inferior or unaccepted in a world that demanded conformity. 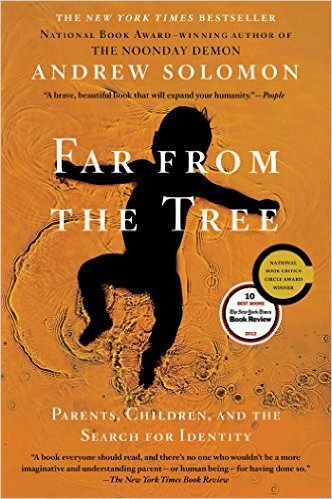 This analogy came to mind when I attended Andrew Solomon, Ph.D.’s presentation for the Glenbard Parent Series at the College of DuPage McAninch Arts Center on April 11th entitled, Far From the Tree: Love No Matter What. Solomon, a clinical psychology professor at Columbia University and Weill-Cornell Medical College and director of the University of Michigan Depression Center, is the author of the best-selling book Far From the Tree: Parents, Children & the Search for Identity and his presentation synthesized the basic message in his book, “What are the means by which parents can raise children successfully, giving them a sense of identity even when those children are challenged with disabilities such: as autism, Down syndrome, dwarfism, deafness, or mental illness like schizophrenia? How do parents give their children what it takes to survive and thrive despite societal prejudice associated with transgender, gay or lesbian sexual identification? Ironically, these are some of the very same issues that Anderson’s characters struggle with in Winesburg, Ohio. And though the novel was written with an honest and bold compassion and forthright simple style, the world in 1919 did not yet know what to make of such subject matter, and it took twenty years for the critical acclaim to build for Anderson’s book, which is now considered one of the best novels in American literature. Still, it has taken decades upon decades for our societal mores to accept that which is not considered mainstream. And there are some individuals who would argue that we still have a ways to go. Solomon explains that when it comes to having children that do not conform to the “accepted” standard, a parental influence on their child has its limits. But parental love for their child does not have limits. When it comes to individuals, Solomon explains that there are two kinds of identity. The first he refers to as Vertical Identity, which includes elements like the language you speak and your ethnicity, those things that you have in common with your parents. The second is Horizontal Identity, those attributes that you do not have in common with your parents, like deafness, mental illness, or Down syndrome. When Horizontal Identities are discovered by parents in their children, they try to “change” their children to help them better assimilate into society. After all, parents are supposed to help “change” their child. Discipline is the parents’ job, to teach their child right from wrong, manners, and so on. 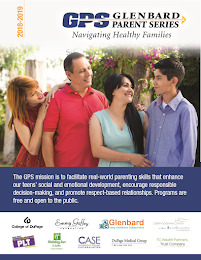 Consequently, Solomon differentiates between parental love and acceptance for a child. Most parents love their child, but acceptance is different. Acceptance takes time. And the lack of it doesn’t mean an absence of love. There are three kinds of acceptance, according to Solomon: 1) self-acceptance; 2) family acceptance; and 3) community acceptance. The strides which have been made by the medical and scientific communities to overcome certain disabilities has societal ramifications and needs to be examined within the context of “social progress.” For example, most children right now who are born deaf, are given a cochlear implant. And there is now a drug which can be administered to children born with dwarfism, which over time, prevents the stunted growth. But what are the social implications for those individuals who currently live and thrive with those disabilities? Solomon explains that the bonds of love we have for our children go far beyond the scope of our understanding. Dylan Klebold was one of the gunmen responsible for the 1999 Columbine High School massacre. His mother never gave an interview regarding the incident until 2012 when Solomon interviewed her for his book Far From The Tree and posed the following question. Her response was that even in knowing what pain would come from his birth, she would still do it, raise him all over again, because he meant so much to her and she so loved him. In a broader context, Solomon suggests that we can all make a choice to love and accept any child with a disability. And parents of children with disabilities should seek out and get to know parents of children with different disabilities, not just those whose kids have the same exact disability that their child has. 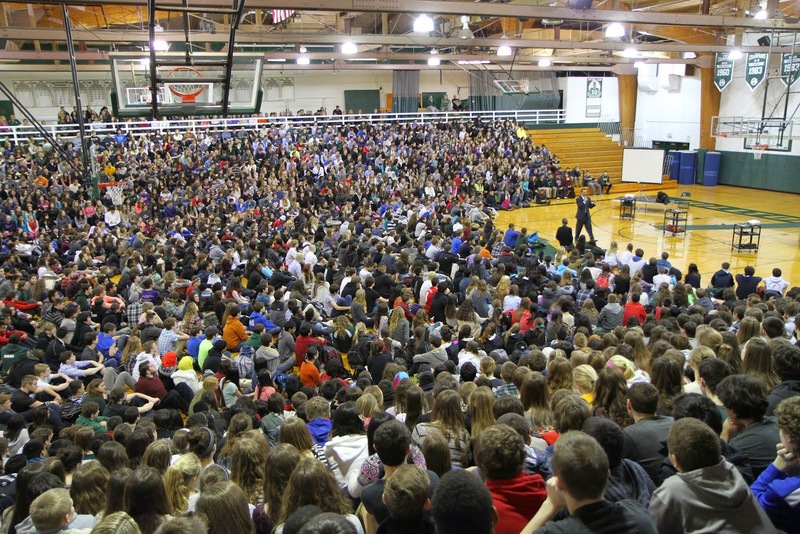 Resource and supportive information abounds: on the internet for example, in the way of Solomon’s TED talk; or attending the Glenbard GPS series; or by contacting your public school, county, or medical community’s social services. Solomon’s message is clear; there are many aspects of parenting children with disabilities that can be thrilling, exciting and rewarding. Even when it comes to the transgender issue, Solomon explains that people seek a “fixed” identity. If transgender is “allowed” then all genders are called into question. Apparently, ambiguity is what makes people uncomfortable. He didn’t say it outright, but perhaps one can infer, that parents can and should teach their children compassion. Only then can we have a society filled with compassionate adults. Maybe it doesn’t really matter how far the apple falls from the tree, or even it the apple came from the same tree at all. What matters is whether or not you embrace that apple and throw it in your bushel to be enjoyed, even loved, as all the others.